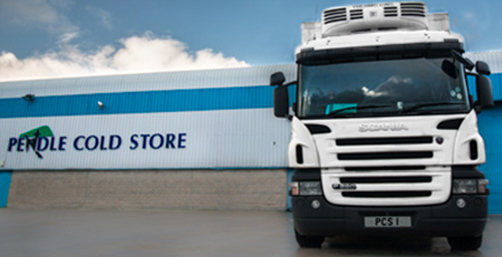 Pendle Cold Store offers state-of-the-art, purpose built cold storage facilities. 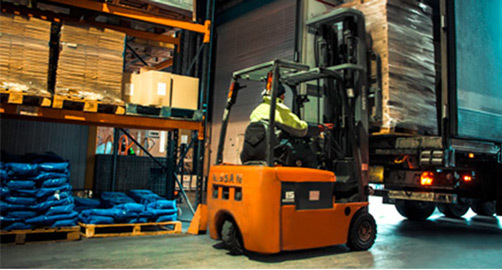 Over forty years of experience has helped us understand the importance of being able to offer a clean, secure and reliable place to store your products. Our high standards and dedication to work hard has resulted in us being awarded the S.T.S standards certification, allowing us to store and supply foods for the highly sensitive national health sector. Our store is also monitored 24 hours a day, 7 days a week by high-tech security systems. We pride ourselves on providing the expertise and assistance needed to meet your requirements. Additional services such as palletisation, de-stuffing and relabelling are also available to ensure the customer care you receive is second to none. Below are more details about the services we can provide for you and your business. The perfect place to store your frozen goods. 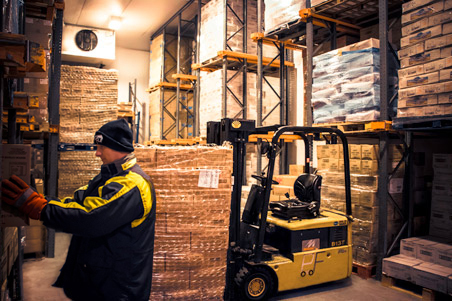 We have three large storage facilities on site, calibrated at temperatures as low as -25°c. Locally known as one of the coldest places in Pendle, these temperatures will ensure your products remain completely frozen all year round. We also offer a freeze down service for any ambient or chilled products that need to be frozen. Keep produce fresher for longer with Pendle Cold Store. Our refrigerated stores provide the perfect chilled environment, regulating temperatures between 0 to +5°c. This will help maintain the life of produce, retaining freshness of the products whilst in storage. The tempering of frozen products is one of the many services we can offer upon request. A safe, clean and secure place to store your pallets. 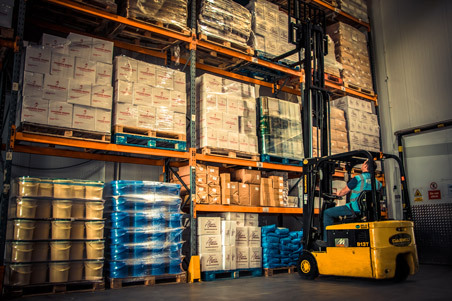 Our large warehouse has ample amounts of racking, used for the storage of ambient pallets. Products stored with ourselves range from packaging to bottled drinks. 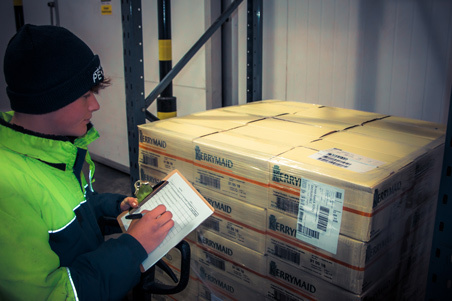 Our high standards in warehousing will ensure your products are kept safe and clean until they are required. Picking orders ready for delivery. For more information, Please contact a member of our team on 01282 442441 or via email.